Craig grew up in Edison New Jersey, home of the other famous renaissance man Thomas. Where Thomas focused on phonographs and light bulbs, Craig fancied Soccer, Surfing, Cycling, Jeet Kune Do martial arts and Tai Chi. While Craig and Thomas shared a love for trains, that’s where their similarities ended. When it came to schooling, Thomas attended for a total of 12 weeks. Craig, on the other hand attended Our Lady of Peace for 9 years, Saint Joseph’s High School for 4, University of Delaware for another 4 (where he received a BS in Accounting, made the Dean’s List and was a member of Beta Alph Psi, an honor society for Accounting). After College, Craig worked for Arthur Anderson as a CPA and went on to University of North Carolina where he received an MBA in real estate and finance. 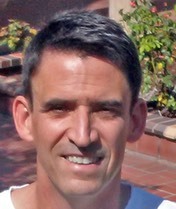 In 1990 Craig entered the world of Real Estate when he joined Studley in Los Angeles. For the next 25 years he had an amazing career focusing on office and retail brokerage transactions. One of Craig’s favorite accomplishments while at Studley was having three beautiful and talented children - Michelle, Lauren and John. One of his favorite work projects was becoming the Western-region real estate representatives for H mart in 2006. Working with the largest Asian supermarket chain in the US for over 10 years has provided an opportunity to help other Asian retailers in the market such as Haidilao restaurant group with their Hotpot and Shabushabu concepts. Craig is a professional student, he loves visiting new places and meeting new people. He’s curious, a great listener, and is always learning and sharing. It’s no wonder that when he found real estate, he never looked back. He now continues his thoughtful work at Irish Commercial Brokerage and brings his creative set of skills and talents to our team, enriching the experience and service.